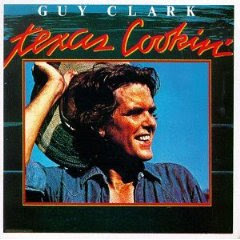 This record is basically the result of all the best country singers and writers of the early 70s getting drunk one day, playing some games, eating some food and then going "hey lets make a record"
I love Guy Clark (though I only have 4 of his albums), and though this record isn't quite as good as his first album, it is definitely more country. It's a blast, throwing in more fun songs than most of his other recorded work. His songs are still clever and well written, and the help he receives by people like Emmylou Harris, Waylon Jennings and Hoyt Axton (to name only a few) is great. On the new Rodney Crowell album (which is excellent), he sings about his love for Guy Clark, and there is a reason. Guy Clark is an underrated gem of great song writing, one that who will probably NEVER get his due, though will remain respected and revered by the correct circles for years.